– Deliver a top-quality home console experience on your Android devices. – You can also find new online opponents with match making system. – Please with 6 various game modes packed with 15 leagues and 150 different races. What’s new in the apk v1.1.2h (Nov 03 2014)? Install the apk, extract the data using 7zipper on your Android to Android/obb, and play offline! What’s new in the apk v1.1.1 (Dec 20, 2013)? – Melt the street with these new models! – Google Game Services now available! – Are you classy enough to drive the Plymouth Prowler and the JAGUAR XKR-S convertible? – The level cap has been raised and there are new limited-time cups. – Melt the asphalt with the new SSC Tuatara. 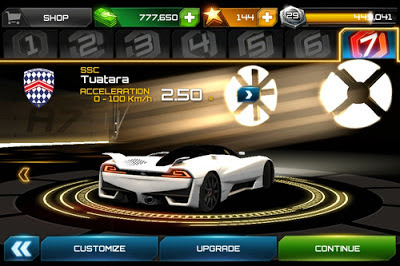 – 2 new cups: Lamborghini and SSC Tuatara! – New lottery: The only way to win the Koenigsegg Agera R.
– Brace yourself for events and limited-time cups. does it run on htc explorer? nd where we hav to copy game data? Does it works 2 my device? @Irfan: My special congrats to you. Have a great time with the game. Could u tell me the procedure ? @yals: You're right. The folder is not automatically created after you have installed the game APK. You have to create it by yourself and put the game data to that folder. does it runs on Sony Xperia S ? samsung galaxy s 2 ! @Leon: pleas use winrar on your PC to extract the data. @Uros: I think the game can work well on your Galaxy Nexus. Hi Raim, many people report that the game works well on Galaxy S2, so I think you can play the game on your Galaxy S2. can i play this game on my rooted Galaxy s2 ? @Haoang Lam: i cant root this phone bcause its not mine, but what i mean on force close is that it turns black the screen turns black then force closesmis there any way to fix this prob without rooting? @jaswinder @salman: Congrats to you guys! don't forget to go to setting to change the game language. working fine on galaxy s2.. but korean language. so not fun.. Does it work on NOVO 7 aurora ? Do we have to download part 1,2,3,4,5? When i click on the link i get on the ilividsetup site and i can't click on the skip add button, because there is no button :O? Abdul Mueed, are you sure you copied and pasted the folder in the right place? Working for me! I have a GS2. But the language is in Chinese, just need to figure our where the settings are so I can change it. thnks 4 the game. wld it work on micromax tablets running on ics. if not pl u/l a lower resolution version instead of HD version. I have problem on my galaxy note running 4.0.4.. after done copying too both sdcard/Android/data and sdcard/Android/obb the game still not work.. i go to asphalt 7 app,it blank then after a while poop out "unfortunately, asphalt 7 has stop working".. plizz help me n sory coz my poor english.. It worked thanks for the link…. Its really great in my S3…. but when i started the game… it was checking license….and it said inwalid license……..
are there any alternative link for APK Installation file v1.0.1 (cracked)?? hey,this is compatible with SE xperia neo? sencillamente buen aporte tio……… sensacional…. el juego funciona a la perfeccion en sony ericson live with walkman.. It is compatible in Samsung Galaxy Y?? will the game work on a tablet running ics, cortex a8 single core 1.5ghz, mali 400 gpu, 800×480 resolution???? 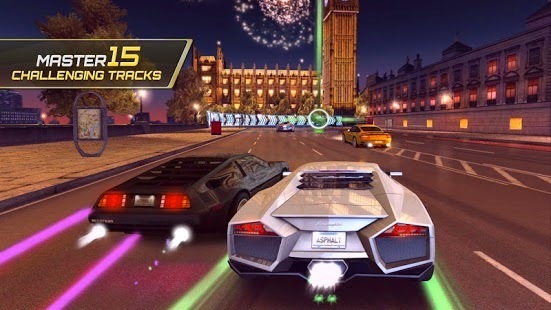 Hi, the crack (v1.0.1) may have been fixed by gameloft. Please try the lower version v1.0.0. Not working on Xperia U. Please directions for install on Unrooted Sony Xperia U.
thanks man worked just fine did what aditya did!! runs perfectly..
man. i had difficulty at downloading the 1.01 cracked file in rapid gator, can u move it to mediafire? thanks alot. but how to change the language to English ? Try to uninstall the game. Turn off the Internet connection. Copy the new extracted data to android/data. Install the apk. Run the game. For the 1st time, the game may be FC. Run it again and see what will happen. it showing a black screen wen I start the game wat to do??? If phone no rooted can't do for full car ya ? start it again, i had this problem once but the second time i started the game it worked well. try turning on the airplane mode, or restart your phone. if it's still not working, try reinstalling the game. 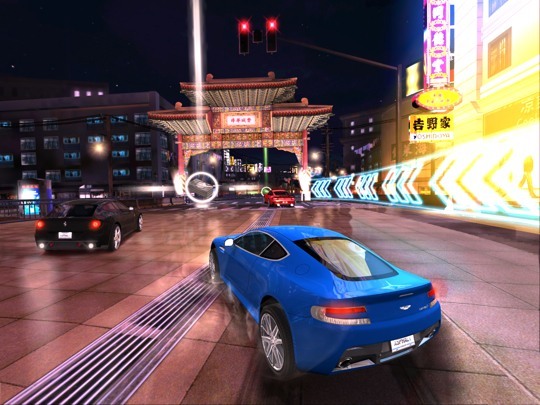 @ftw , what about if it says unfortunatly asphalt 7 has stopped? although it was working very well with me before , but i suddenly get this msg……. i tried both 1.0.0 and 1.0.1 versions, but none of them are working on huawei g300 ascend! the game is checking the license, and after that it FC. i tried with airplane mode, too, but it didn't work. I cleared cache but nothing happened……. Hoang can you tell me the solution for my problem if u can ? game was working with me fine yesterday but now it says "Unfortunatly Asphalt 7 has stopped" so what is the solution? Have you tried the apk v1.0.1 instead of the apk 1.0.3? Please follow all instructions that I have carefully written above. That's all I can help. Note: apk v1.0.3 is new and has not been tested by many Android users. hiii…. i have installed this game but it always showing checking license… what can i do.. Does this game is in chinese language… bcoz last tym wen i download its in chinese language…. Does it work on a Samsung Galaxy Fit with Android 2.3.2? After extracting the files to desktop,how do you combine all of them together?? Once you downloaded all 5 parts,do you just copy one by one into the obb file?? please, fix 1.0.4 apk and 1.0.4 obb. Cant extract the data files? Just cant extract the data files, saying they're corrupt! what to do?? s but I cannot start the game why? @Taqed @Tazz: You don't need to install the latest version because there is no big difference btw the apks. APK v1.0.1 is tested and works well on many phones. Try it! installed your v1.04 .. did what you said! but all i get is a black blinking! can I use the v1.0.4 and it's game data for sony xperia mini pro? i've downloaded it succesfully, during playing this game it forced to close.. i tried again and it occured again and again.. how can i solve this? hey oag i hv installed 1.0.5 versoin of asphalt 7 and when i do all steps as mentioned in your instructions and after all that process when i lanch the game it is showing apkmania.com 3to4times and it is closing please help me,thnks. hello… can u mirror Patch OBB file v1.0.5 please?? I am sorry that the apk 1.1.2 supports up to lollipop only. 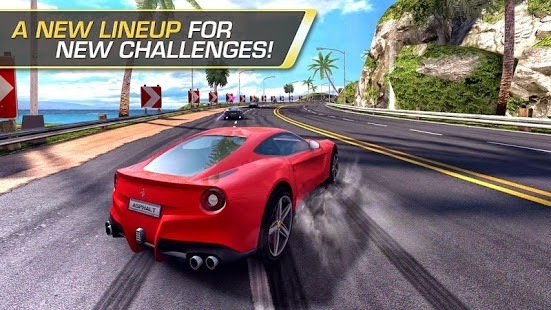 You can try Asphalt 8 or Asphalt nitro instead. 1.1.1 normal works on android 6.0, but I didnt get it from this site so don’t know if it’s different.